Why the Instagram Bot 2019 don't work without proxy? What are the Instagram Proxy? You will find the answers in the article you will read. Some time ago I wrote the ranking of best Bot Instagram, consult it to find out the winner. In the meantime some things have changed. Instagram launched its cyber bombs to exterminate the Bots. Who was not equipped with Proxy has been swept away. The others managed to resist thanks to good facilities. But let's take a step back for clarification. At the end of last year, Instagram introduced for the umpteenth time restrictions targeting those who use Instagram Bots. If you saw any notifications regarding the temporary suspension of some functionalities in particular of the Like automations, the reason was just that. These blocks also occurred if the Instagram Bot worked within limits. Even with the like campaign turned off even blocks were notified, due to the action of other operations (follow / unfollow / views stories etc). In this period we talk a lot about Instagram Proxy, so it is fair to make some clarity. An Instagram proxy is a proxy server that takes care of hide your IP address while browsing. 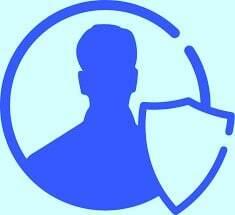 This way you can navigate completely anonymously. When you have an Instagram Proxy active and take any action (like, follow, unfollow) send a request to a proxy server. The latter requires the contents from the server in question (Instagram). Instagram gives an answer to the sender (proxy). The proxy gives an answer to you. 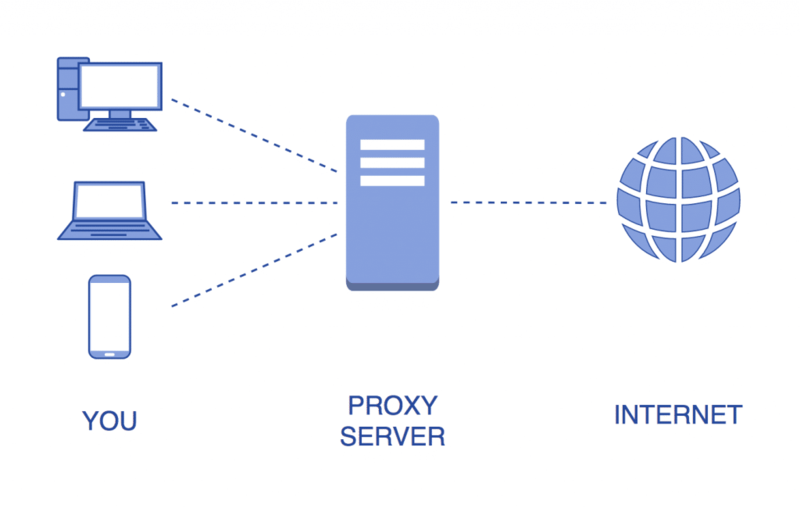 Each operation will be performed directly by the proxy, instead of from your IP address. In more technical terms, the target server will register the proxy IP address instead of the Wi-Fi or mobile connection you will be using. Why and when are Instagram Proxies needed? Let's start by saying that if you use Instagram without getting help from Bots, then you can do without a proxy. Apparently a proxy has nothing to do with Instagram, but in certain situations it is crucial. 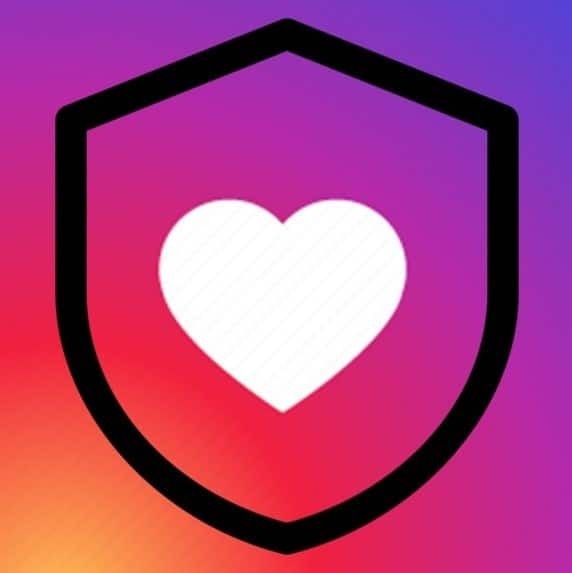 If you use some automation tools, using a proxy can mean avoiding a ban from Instagram. In fact, Instagram constantly monitors the activities you perform on the app. Many think that only the amount of operations performed is kept under control. Yes this is true: Instagram temporarily blocks your account if you do too many Follow or put too many Likes in an hour or a day. But there is more. Instagram also monitors the starting "location" of all transactions. Follow, Unfollow, Like, Comments, DM, post, Stories, be careful where they are executed. When from the same IP address 10 or more people are connected at the same time, each one with his own account, maybe even on the same device the alarm will start: Instagram will put under investigation the offending IP address. After careful analysis, Instagram will trigger its attack on all accounts connected to the suspicious IP address. Temporary blocks from 12 to 24 hours of Like, Follow, Unfollow or verification email or in the worst case the permanent block. If you decide to grow using a Bot Instagram, make sure your Bot has a Instagram Integrated Proxy. If this is not the case then you will need to equip yourself with a Proxy and hope that your Bot gives you the possibility to enter the parameters to configure it inside it. Not having a Bot with an integrated Proxy is disadvantageous from an economic and practical point of view. Instagram Proxy of your country. Now that you understand why it's good that your Instagram Bot has an integrated Proxy let's move on to another important aspect: Geo-location IP. Bots and oxen from your countries! Another thing to consider is where you connect. If you always connect from Italy, it's a bit strange that all of a sudden you start giving likes and followings from every corner of the world. This behavior is frowned upon by Instagram that will promptly block offenders. If you want to "trick" Instagram, make sure you do it the right way. Many Instagram Bots have American origins and if they have an integrated Instagram Proxy, the IP will be located in the USA. The consequences of this behavior will be as disastrous as you already know. For this reason, when automating, the password is Consistency. So if you often access Alitalia with your smartphone or computer, I advise you to use this Bot Instagram who uses Instagram Proxy residential Italians. During my tests, I discovered a Bot Instagram which uses Italian proxies. If you use it you can rest easy. Instagram will not detect suspicious actions on your profile, as all automations will start from your country and you will not receive email and verification alerts. 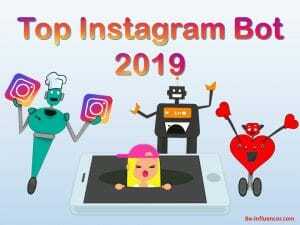 If you liked this article you will also like to find out the ranking of the best Bot Instagram and the winner.